Unleashing the true power of the phone is just few minutes away. Exactly, rooting the phone can help you get you the super user rights and then you are up for everything, you wished to do on your phone. Any latest ROM in the market and you has been waiting for the update and suddenly realize your phone is getting no updates; what’s worse than this to kill your excitement. Rooting allows you to flash the phone with a customized ROM of your wish. Moreover, rooting can help you root out bloatware, bugs, and boost the device, its battery backup, etc. What’s interesting is rooting the device takes only few minutes while it requires certain level of diligence. This article provides you a full guide on how to root Note 2 device and what are the preparations required before rooting Samsung Galaxy Note 2. Backup the Data: Before moving on to rooting the Samsung Galaxy Note 2, it is imperative to secure the data present in the phone by backing up the device data. While the rooting process is secure and safe, backing up the data is always safe. Download and install drivers: Download and install the required drivers which for Galaxy Note 2. You can use KIES as well on the computer. 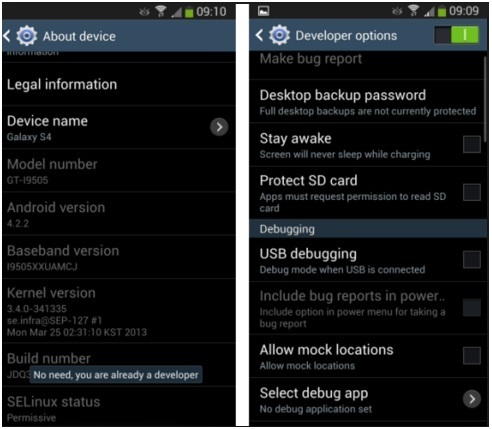 Enable USB debugging: Keep the USB debugging enabled to ensure proper connection of the phone with the computer in the rooting process. To enable USB debugging, go to Menu>Settings>Applications and then go to “Developer options” and tap on USB debugging. Battery level: Ensure that the battery level on the phone is at least 80 %. But it is recommended to fully charge the device before rooting the device. 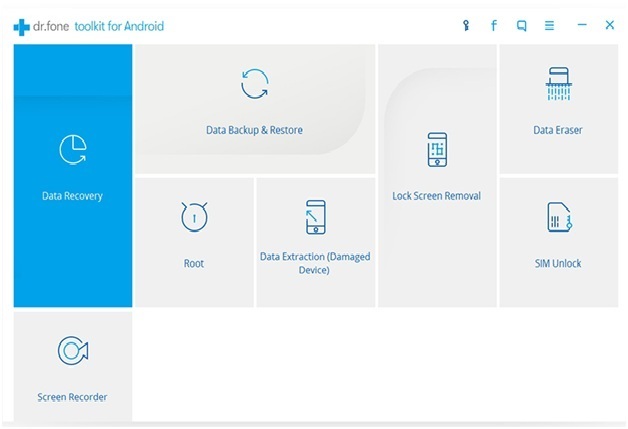 Now, that all the preparations are done and after you have taken all the above measures, you can now move on to root note 2.
dr.fone – Android Root is one of the safest and easiest methods to root Galaxy Note 2. This tool provides an extremely simple user interface which is self explanatory along with quick rooting process. 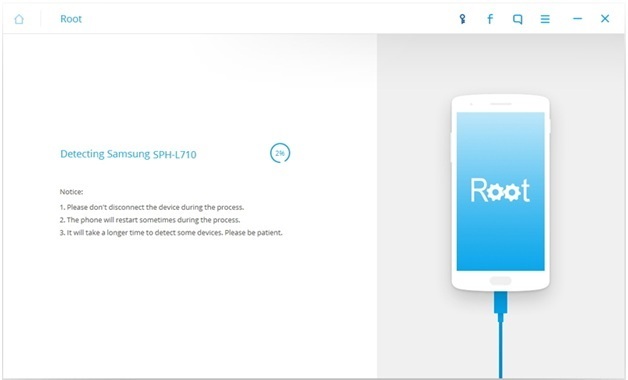 Here’s how you can root the Samsung Note 2 device using dr.fone – Android Root. Ensure that the USB debugging mode is enabled on the device for the phone to the properly connected to the computer. First of all, install dr.fone on the computer and launch the program on the computer. After you have launched dr.fone, click on “Root” from various toolkits present on the interface. The interface is as shown below. Now, connect the Android device i.e. Samsung Galaxy Note 2 to the PC using a USB cable. This is where USB debugging is required. The moment you connect the Android device to the computer, you might get a pop up message asking you to enable USB debugging. Tap on “OK” to allow. 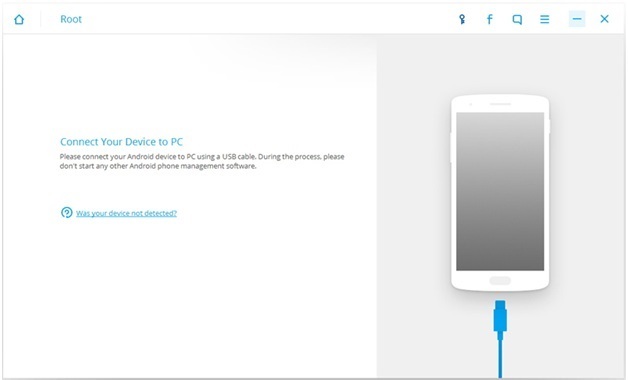 After the USB debugging is enabled, dr.fone toolkit – Android Root will automatically recognize the Android device connected. After the phone is connected to the computer, click on “Start” on dr.fone. The program will start to detect the connected device then. This process of detection will take few minutes to complete. dr.fone – Android Root will detect the Android device and after it has detected the device, it will be ready to root the device. Now, click on “Root Now” to root the device. 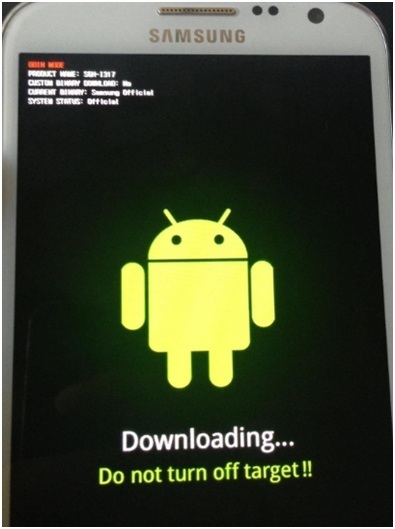 During the rooting process, a message will pop up on the Android device asking you if you would like to root the device. Now, tap on Confirm to continue with the rooting process. The rooting process will take few minutes to complete successfully. dr.fone is a great tool to root Samsung Galaxy Note 2 as it is a matter of minutes to root the device. 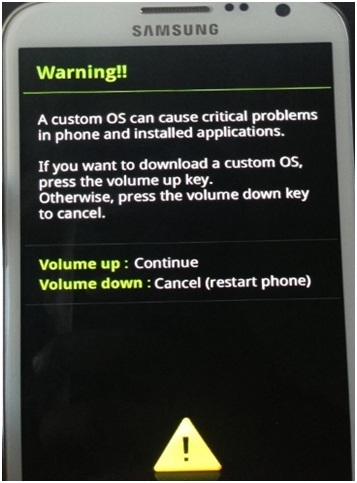 It is a legal and safe program to root Note 2 device. Samsung Galaxy Note 2 can be rooted using Odin Root as well easily. While jumping off to start with the rooting process, it is important to know the compatibility of your device with Odin. Along with the prerequisites to rooting the device like checking the battery level of the device, downloading the drivers, etc, it is also important to check if your device is compatible with Odin. These are the models which are compatible with the rooting process using Odin. You can easily check for the model number of your device by going to the “About Device” in the “Settings” at the bottom. Make sure that the model number of your device is listed above or else, this process might brick the device. 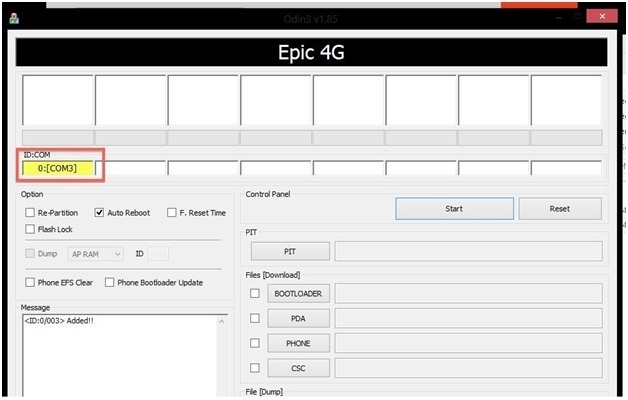 Once, you are aware of your device model and it is compatible with the Odin root process, you can now start with the process of rooting and here are the steps to do so. First of all, put the Samsung device into Download Mode. To put the Samsung device into Download Mode, turn the device off and after the device is turned off, hold the volume down button, home button and the power button simultaneously until you see the below screen. Now, press the Volume up button to continue and this will take you to the ODIN download mode. Once the “Downloading…” screen shows up, connect the Note 2 device to the Windows computer using a USB cable. This screen means the phone has successfully entered the download mode. Download and install Samsung USB drivers in the computer and then download GalaxyNote2Root.zip file. 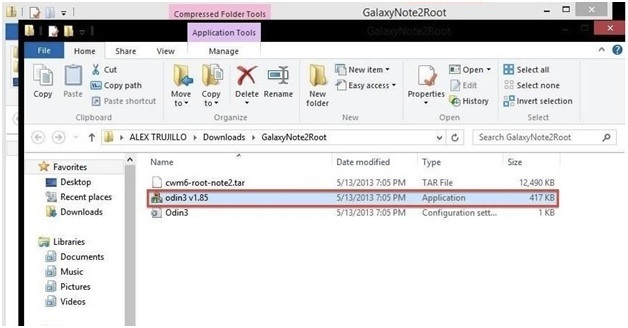 Unzip the file GalaxyNote2Root.zip and then open ODIN program by double clicking the odin3 v1.85.exe file. Now, when the ODIN program is running, you would find a yellow ID:COM box with a random number. If you don’t find that, check if the drivers are installed correctly or unplug the Note 2 device and connect that back to the computer. Now, click on PDA which is present under Files [Download] and browse for cwm6-root-note2.tar file. Select the file followed by a click on Start. ODIN will now flash the custom CWM recovery and when that is successful, a green “PASS!” box will show up at the top as shown below. The device will now boot into ClockworkMod (CWM) Recovery	once and this will install SuperUser app. Reboot the device again. 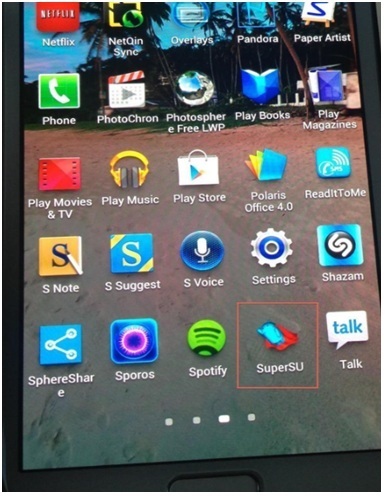 Once the rebooting is done, you should now find a new application on the device saying “SuperSU”. Yeah, it’s now done. Your device is now rooted successfully. So, these are few ways for Note2 root which can be used according to your convenience. While rooting becomes an easy task using the above two ways, circumventing the precautionary measure could put your device and data in a state of risk. So, check everything before start to root your device. Many users choose to root their phones to enjoy more great functions.This guide shows how to root Samsung Galaxy S3 mini I8190/I8190L/I8190N/I8190T easily. Looking to uninstall system apps from your Android device? Here's how to use the System App Remover to delete system apps. 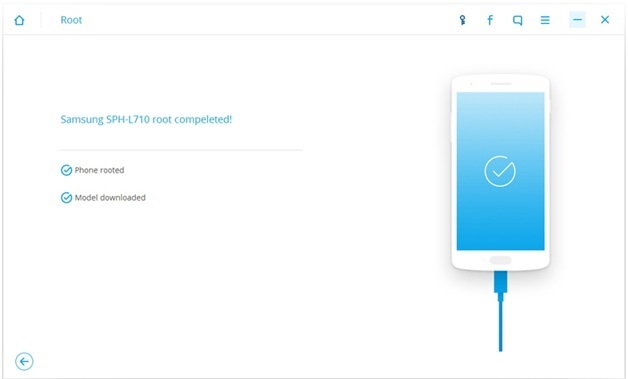 How to Root ZTE N817 with Android Root? 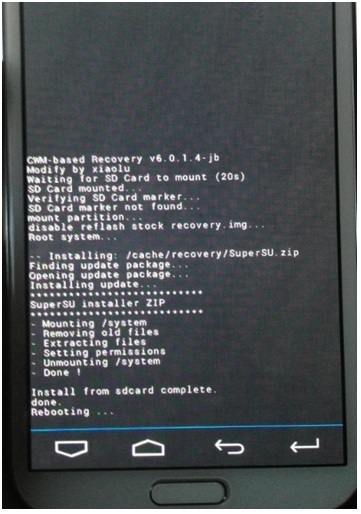 Planning to root ZTE N817? We have got you covered. 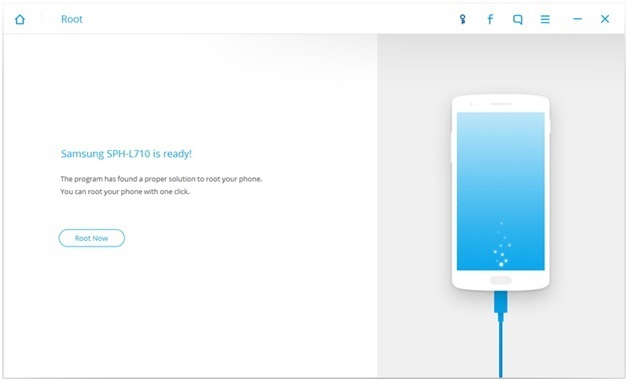 In this informative guide, we have provided an in-depth tutorial for performing ZTE N817 root. 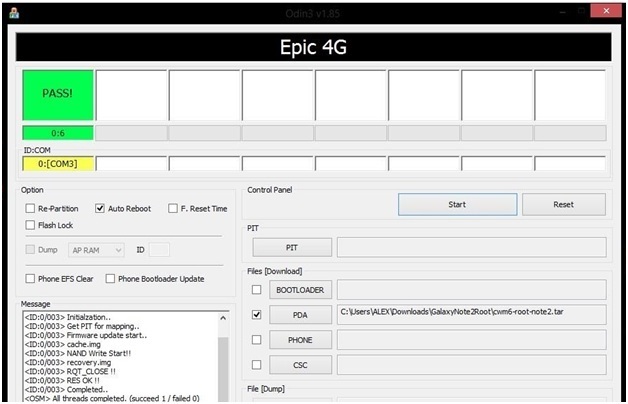 Root HTC One or any other HTC device using these simple instructions. Backup your data and unleash the power of your HTC device right away.